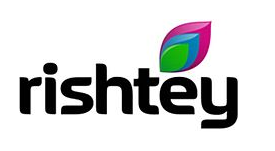 Hindi channel Rishtey has been restored to Freeview after a nearly three-month unannounced pause in broadcasting. Its sudden and unexplained withdrawal from channel 77 at the end of November was greeted with dismay by its legion of fans. With days to go until the channel would have lost its Freeview channel number, under rules that prevent non-broadcasting channels from squating a Freeview channel slot, the channel has been restored, in a move that took place on Thursday. As before, the standard definition channel is available to around 70% of UK households, providing they have a DVB-T2 compatible device (e.g. Freeview HD or YouView box). Why the channel was removed remains a mystery. Announcing the return of the service on Facebook, carefully worded not to emphasise the channel's absence, Rishtey declined to go into detail about the last three months. Normal service continued throughout on other TV platforms. Music channel VIVA took over Rishtey's bandwidth, which was then subsequently shared with 5USA+1. Additional headroom on the Freeview multiplex carrying Rishtey appears to have been used to reinstate the channel.